However, if you feel less than confident about the quality of your smile, you might feel reluctant to show it in front of others. Instead of showing the world your happiness, you hide it away out of shame and embarrassment. It doesn’t need to be this way—you do not need to deny yourself the joy of smiling each and every day, no matter who is around. With a little help from braces placed at our Commack practice, you will soon find yourself smiling bright. We offer several different types of braces, ensuring that we can outfit you with the system that is best for you. From traditional, metal braces to clear brackets that are invisible to those around you, we are certain we can meet the needs of all Dix Hills patients. 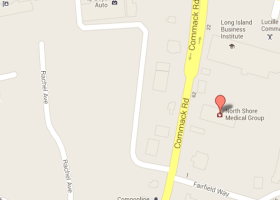 If you are in the East Northport area and are considering braces, please take some time to contact our office. We will schedule your initial consultation, at which point we will review your case and discuss your options. Remember: there is no reason to go through life afraid to smile. We offer Clarity Advanced ceramic brackets which we feel are the most esthetic bracket on the market allowing you to get the smile you always wanted with only a minimal amount of metal on your teeth.